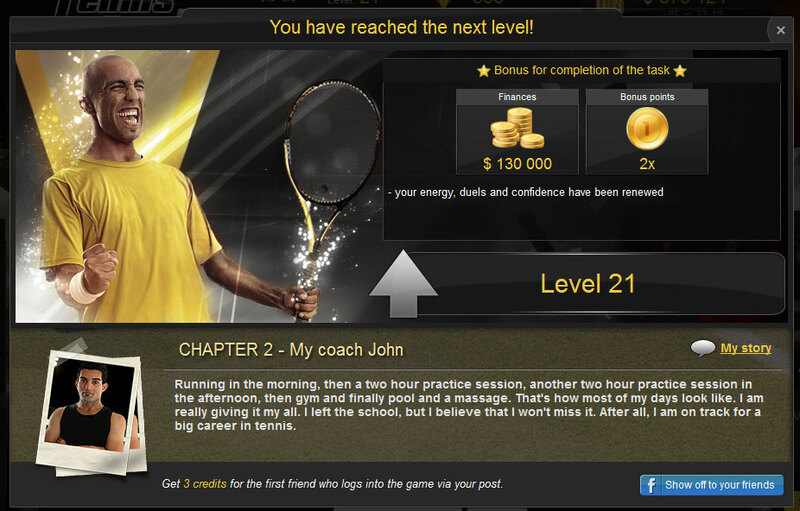 Tennis Duel is an online sports tennis game where you can live the life of a tennis professional. Create your own character, climb up the rankings and become the world number one! Improve your attributes, train special strokes and skills and become a better player. Apart from skills and attributes it is also important to have good equipment and solid training facilities. Tournaments, clubs and thrilling battles for a better position in the ranking - all of this awaits you in Tennis Duel. Prove that you have what it takes and play tennis against thousands of other players like you! This game does not require any installation, a powerful computer or a fast connection and you can play it for free. Enter your login e-mail address where we will send you the new password.